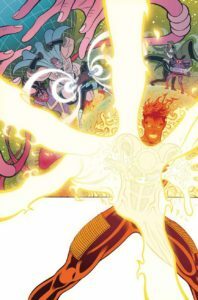 Deep in the ruins of the Kree homeworld Hala, THE SECRET is revealed! Who — or what — are THE PROGENITORS? 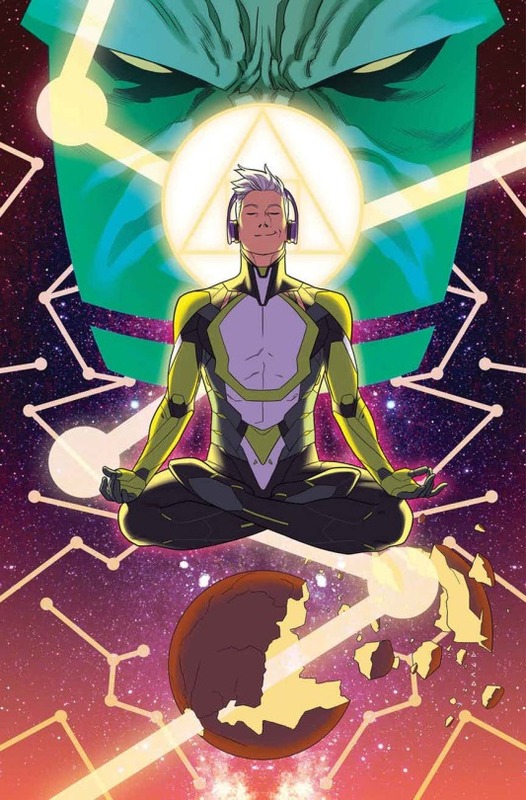 What is their connection to the Terrigen Mists? And how much does Marvel Boy know…? After narrowly surviving their battle with the X-Men, the Secret Warriors have to get back to New Attilan to use what they have learned in the fight against Hydra…but Hydra won’t make that easy. As the danger grows, so does the distrust among the Warriors. Karnak is clearly making plans of his own. But why? With Hydra breathing down their necks, the team is tearing itself apart, and the clock is ticking on their plans. 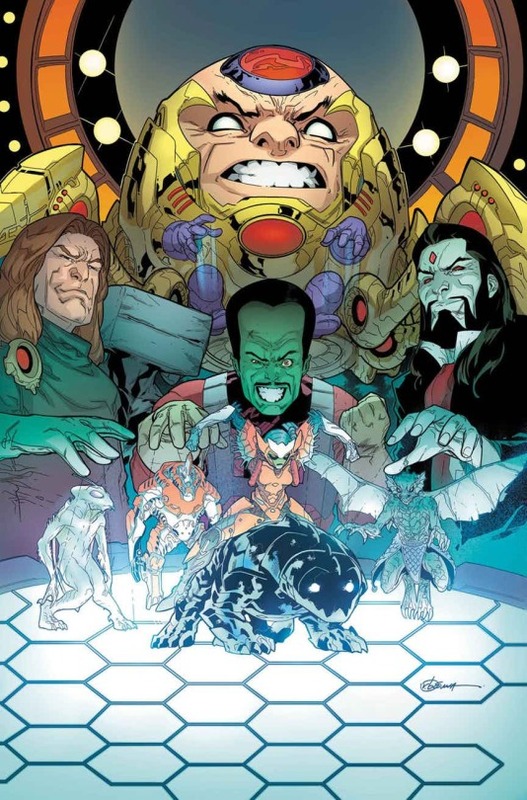 But first Quake must be ready to lead the Secret Warriors into a confrontation with her father, the Hydra commander, MISTER HYDE! PRISON BREAK! The prisoners revolt! 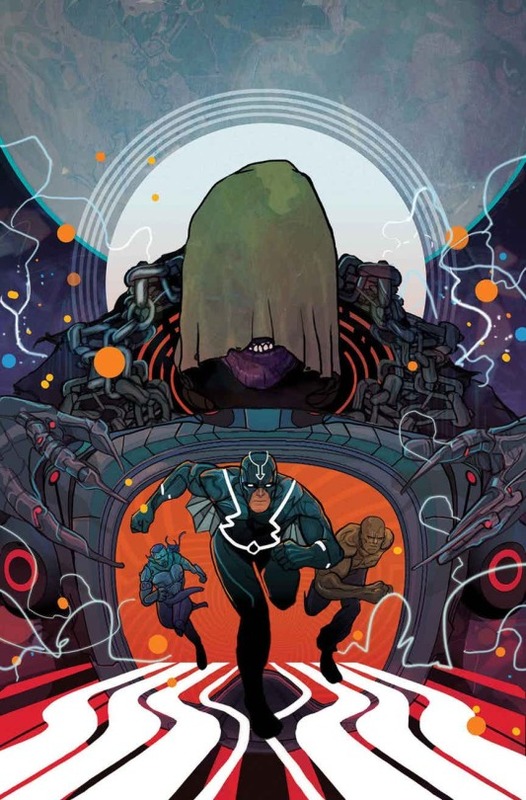 But are Black Bolt and his unlikely allies simply pawns in a bigger game? Plus: Death’s Head! Is he there to help…or hunt? And who — or what — is the warden of this strange place? Whatever it is, the Jailer knows only penance and fear. And soon, so will the Silent King! GOOD GIRL GONE BAD! 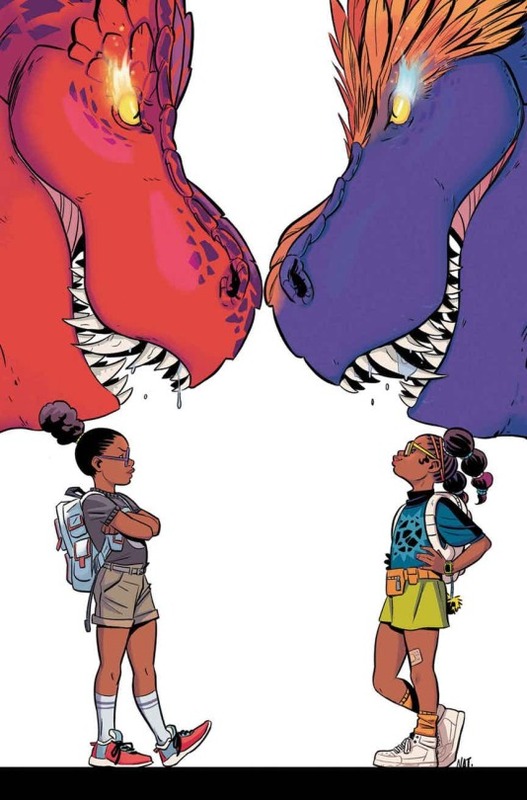 The Omni-Wave Projector (the very device that bent time and space to bring Devil Dinosaur to the present) is on the fritz, so when Lunella and Devil return home, things are not quite as they remember… Why is everyone afraid of them? What happened to Yancy Street? 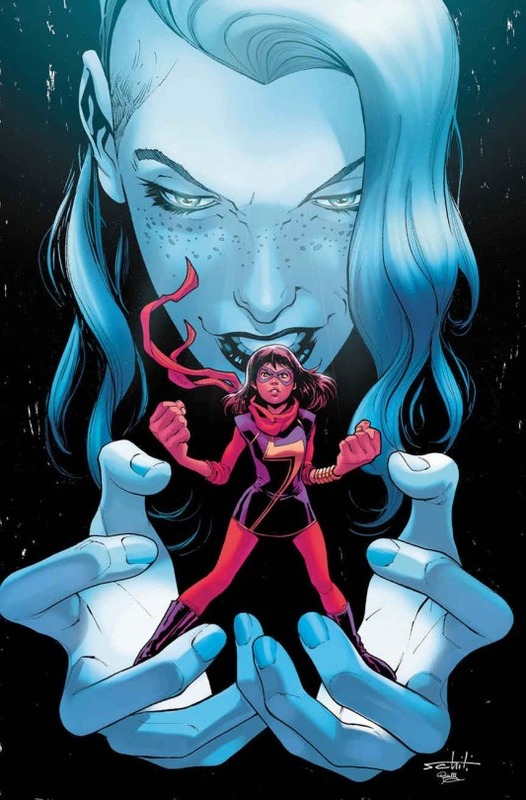 And who exactly are DEVIL GIRL AND MOON DINOSAUR?! THE NEW INTELLIGENCIA : REVEALED! What if you were an 11-year-old boy who suddenly had the powers to bring giant monsters to life simply by drawing them? And what if you brought five brand-new monsters to life as instant friends and teammates for a new super hero team? And what if someone ELSE wanted those monsters for themselves? What if it was a whole group of people? Bad people, even? Find out what KID KAIJU and his amazing team of monsters — AEGIS, MEKARA, SLIZZIK, HI-VO and SCRAGG — will do when the NEW INTELLIGENCIA comes calling!